Are the Bible and Tradition at War? I gnash my teeth whenever I hear the comment, She’s not a Christian, she’s a Catholic. When I recall the millions of catholic and reformed who have poured out their lives in service of the sick, the blind, the poor, the ignorant, out of love of Jesus Christ, I lament. We share so much, so deeply. Is it truly Bible v. Tradition that divides us? So many of the saints of the early Church wrote commentaries and preached on texts from the Bible. For the first nine Christian centuries, illuminating bible commentaries and depicting events of Jesus’ life in stained glass was a way of life for many monks. Over time many traditional understandings of these mysteries became enshrined in traditional formulas that became Tradition. 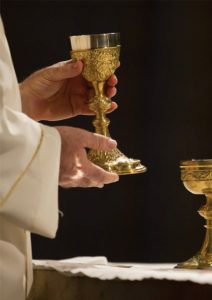 However, as the Second Vatican Council insisted, such Tradition must always be open to review, challenge and purification in the light of the scriptures. In my work as a university chaplain and theology lecturer I came to know and worked beside many non-Catholic pastors. All based their faith deeply on the Bible. But I also noticed that each denomination had prayers, disciplines and shared insights that were strong traditions and gave them a deep sense of identity. Scripture and tradition are not exclusive; they explain, make concrete and reinforce one another. It is true that Catholics tend to lean more heavily on tradition than many other faith systems. But both Catholic and other denominations live out of faith in Jesus Christ who is their way, their truth and their life. This writing is based on the content of ‘What Catholics Believe’, Booklet 3, ‘Jesus Christ’ referencing page 8. 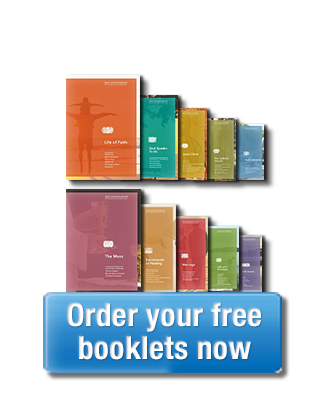 Should you like to read more just click either of the links below to download ‘Booklet 3’ or the complete set of ‘What Catholics Believe’.